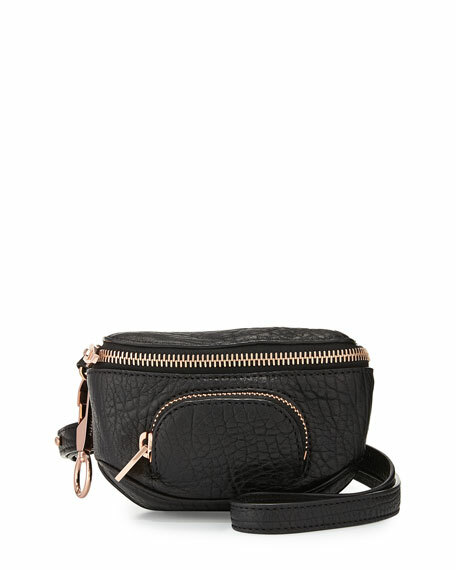 Alexander Wang pebbled lambskin leather belt bag. Belt strap with push-stud closure. 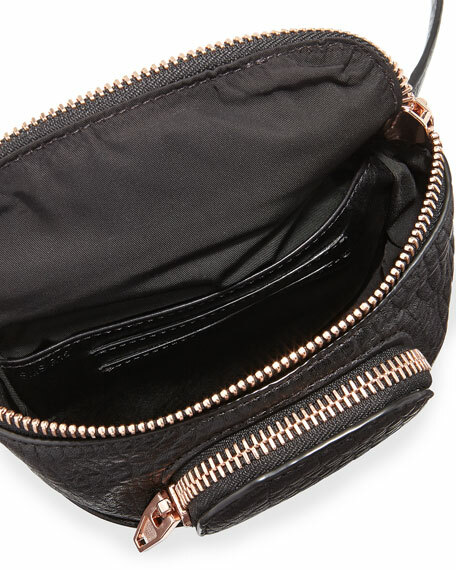 Interior, fabric lining; one slip pocket and two card slots. Exterior, front zip pocket; lobster clasp keychain hangs at side. 3 1/2"H x 7"W x 1 1/2"D; bag weighs 8 oz. For in-store inquiries, use sku #296819.